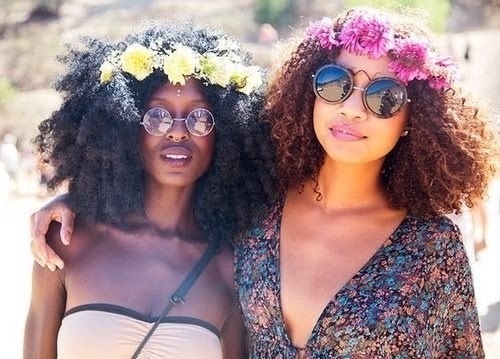 Want to “Go Natural” but don’t know which products to use? 1. Kurlee Belle’s Almond & Shea Butter Moisturizing Shampoo will gently cleanse your now “two textures” and give the hair the moisture it craves. 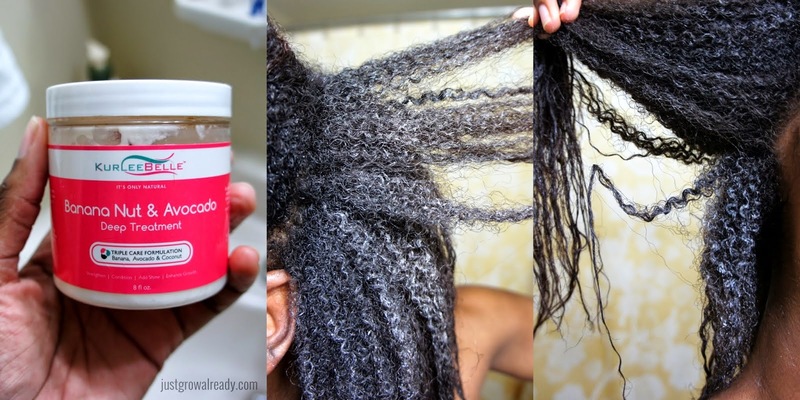 This will reduce the breakage between your natural and relaxed hair. When you are starting your natural hair journey, you want to use a shampoo that is sulfate free and Almond & Shea Butter Moisturizing Shampoo is just that. 2. Thirsty Kurls Leave-in Conditioner is the perfect product for "Transitioner's” because it allows easy detangling, lots of moisture and slip. This leave-in stays in the hair to condition the new growth making it more manageable, healthier and shiner. 3. To prevent your hair from breaking, use Banana Nut & Avocado Deep Treatment. This deep treatment will strengthen your newly natural hair growth and prevent your relaxed hair from breaking off. 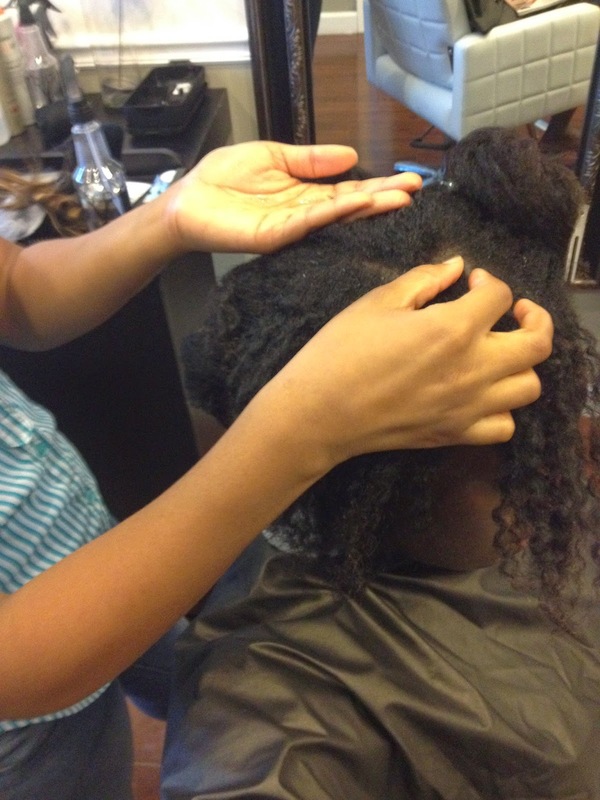 Many naturals who transition without using a deep treatment find that their relaxed ends start to break. 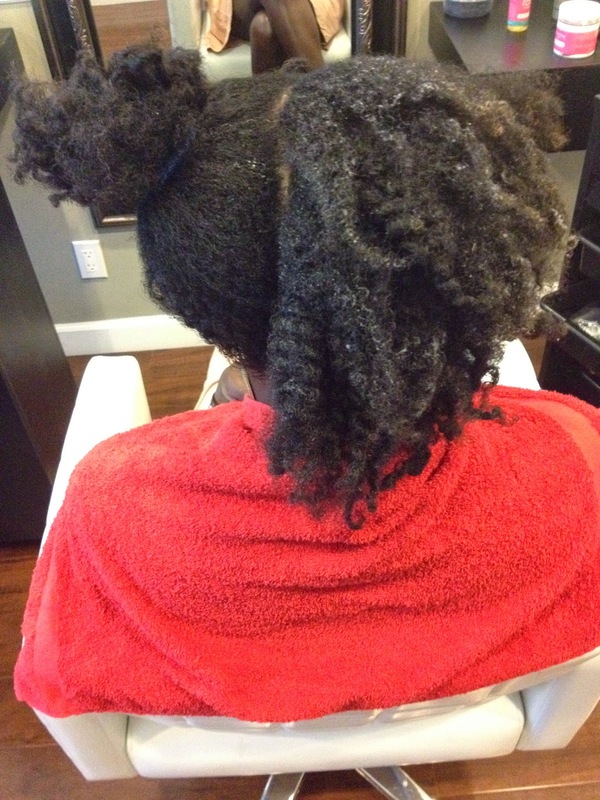 Deep treating the hair allows you to maintain healthy relaxed and natural hair. 4. Kurlee Belle's Kurlee Tropical Oils Blend is a blend of essential oils like Castor, Avocado, Argan, Moringa and Jojoba. It can be used as a Pree poo, Hot Oil Treatment or Daily Shine Enhancer. It is great for sealing in moisture and your new growth will thank you. 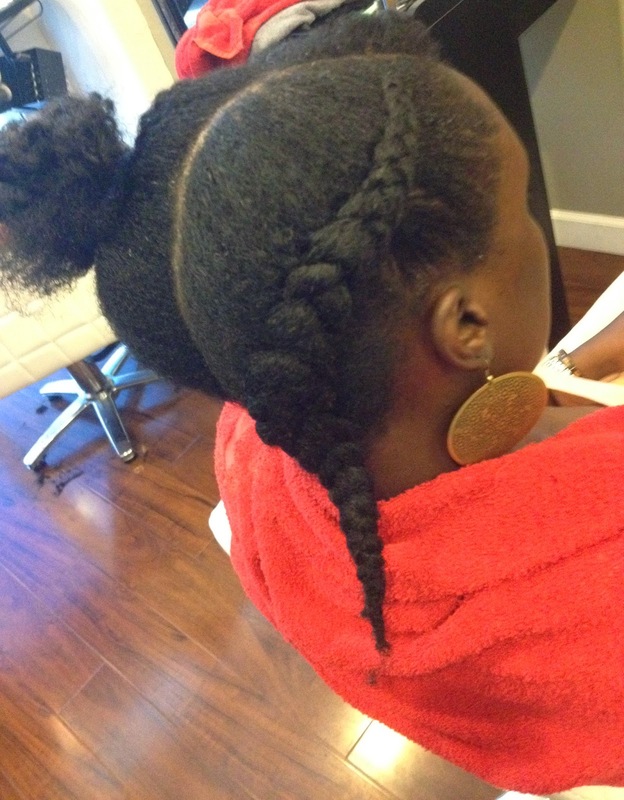 Don't wait until you are fully natural to start taking care of your natural hair growth. Start now. The GOOD NEWS: It will all be worth it in the end and after you are fully natural, Kurlee Belle offers stylers like Kurl Defining Creme & Jelle Coconut Styling Gel to help you achieve the perfect twist out, wash n go, curly set or whatever style you desire. Make your appointment at the Nak’d Body Bar (Nassau, Bahamas) for a “Natural Hair Consultation” or “From Relaxed to Natural Consultation”. Call (242) 677- 7778. 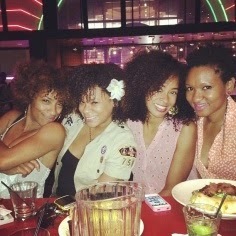 Hey Bahamas Naturals! 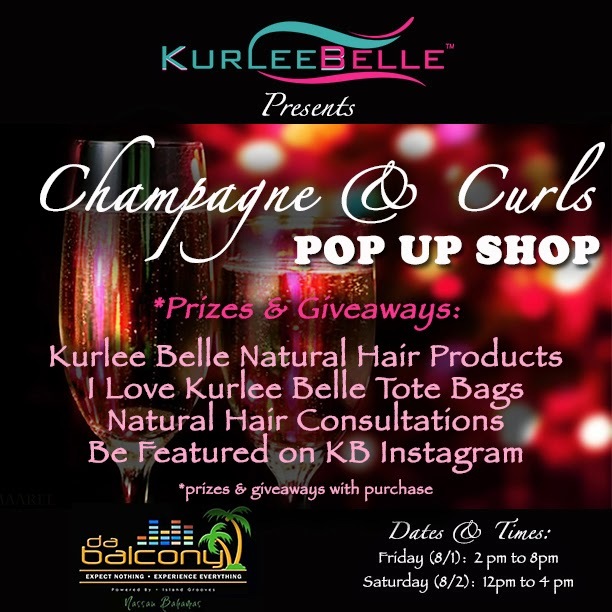 Join the Kurlee Belle Team on August 1st & 2nd at Da Balcony ( Pompey Square, Bay Street) from 2 PM to 8 PM (August 1st) and 12 PM to 4 PM (August 2nd) for Champagne, Cupcakes and Curl Talk. 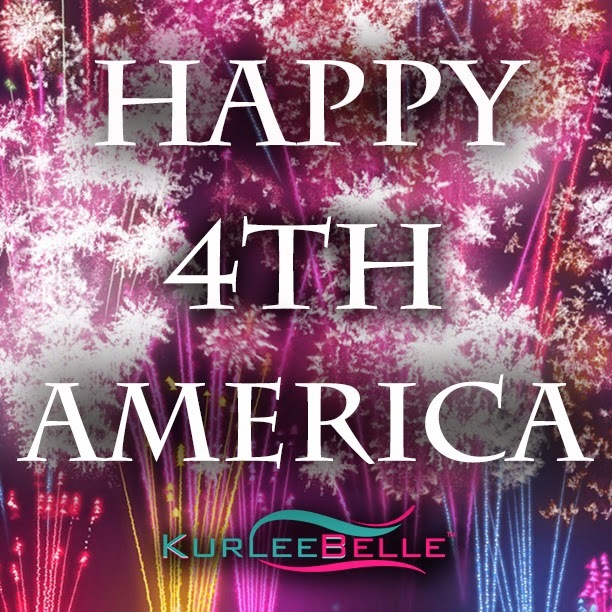 Receive Prizes & Giveaways with the purchase of Kurlee Belle Natural Hair Care Products! See you there! Bring Your Friends! 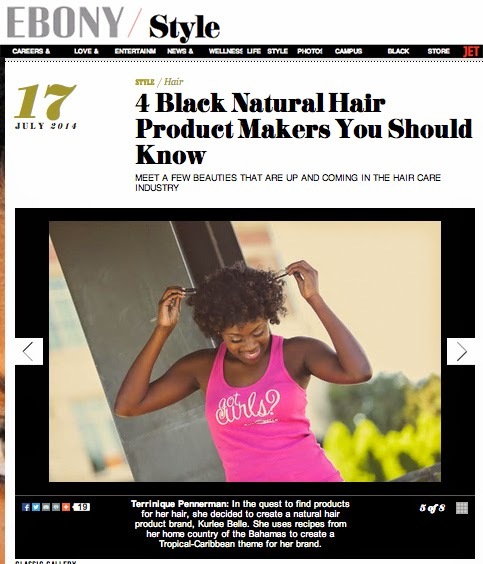 Ebony Magazine Features Kurlee Belle " 4 Black Natural Hair Product Makers You Should Know"
We are extremely humbled to be featured on Ebony Magazine as 1 of the "4 Black Natural Hair Product Makers You Should Know." In this cute jingle by Sesame Street writer, Joey Mazzarino, a very enthusiastic character sings about how she loves her natural hair. 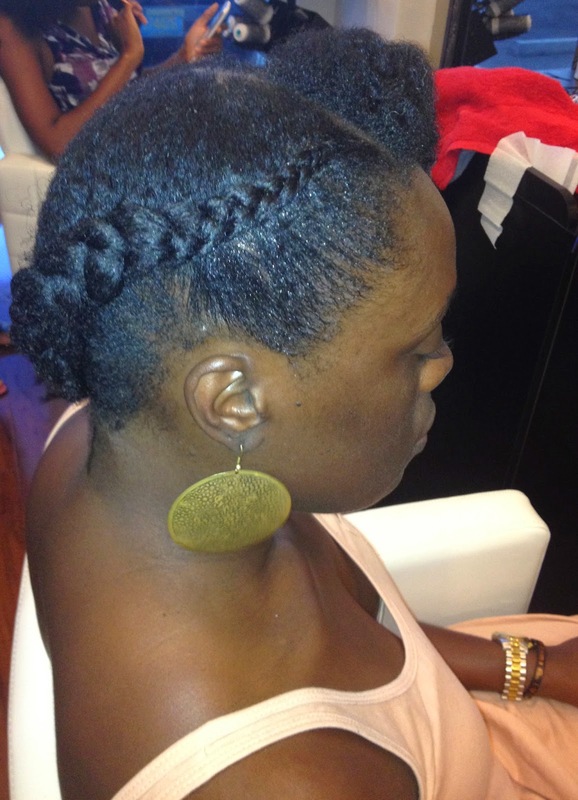 From Afros to Conrows the character praises natural hair's versatility. Joey Mazzarino wrote the song to encourage his Ethiopian daughter to embrace her natural hair. The song is light and cheery. 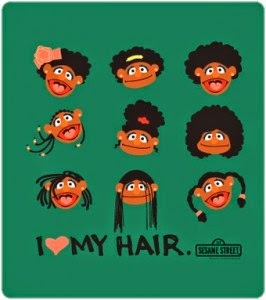 Perfect for encouraging little girls everywhere to embrace their natural hair texture. 1. 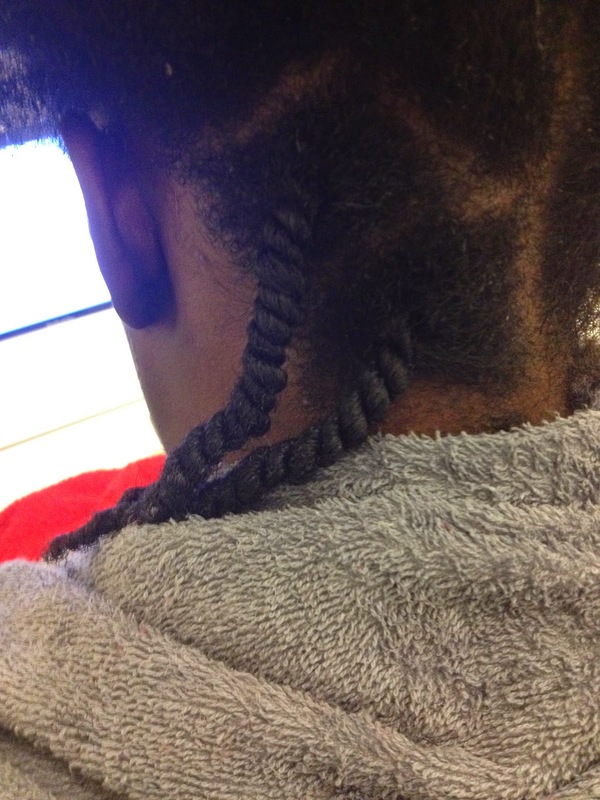 Start on detangled hair (The hair in the picture below was previously in a twist out. The hair was sectioned and lightly sprayed with water and conditioned using Thirsty Kurls Leave-in Conditioner to soften the texture.) This leave-in conditioner makes the hair soft and allows it to be easily smoothed with a boar bristle brush. 2. Use a rattail comb to fashion a precise part on one side. The model in this photo opted for a textured bang so hair was left out in the front. A clean separation in the part makes for a sleeker and more striking look. 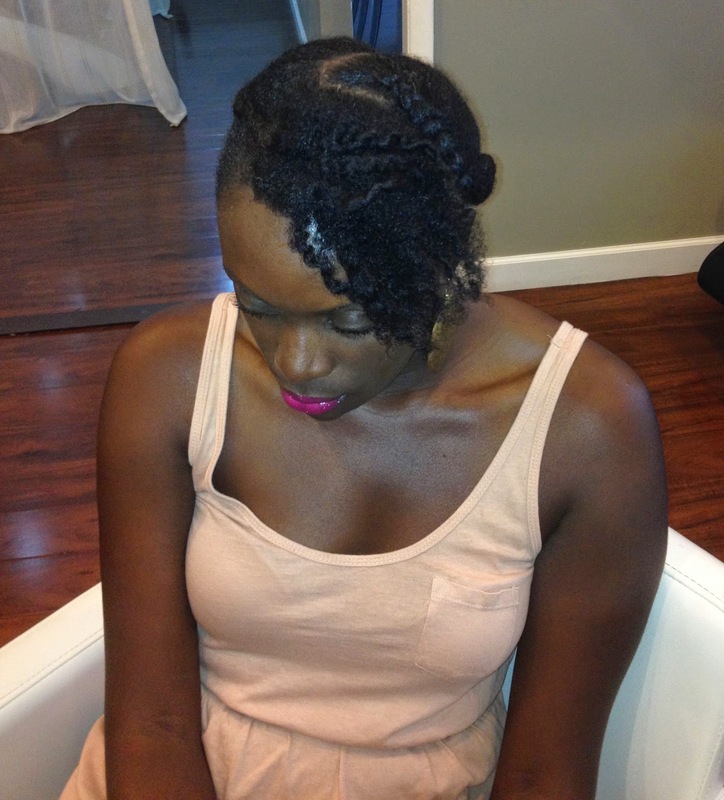 We used Jelle Coconut Styling Gel to smooth the hair and edges for a seamless beautiful braid. 3. 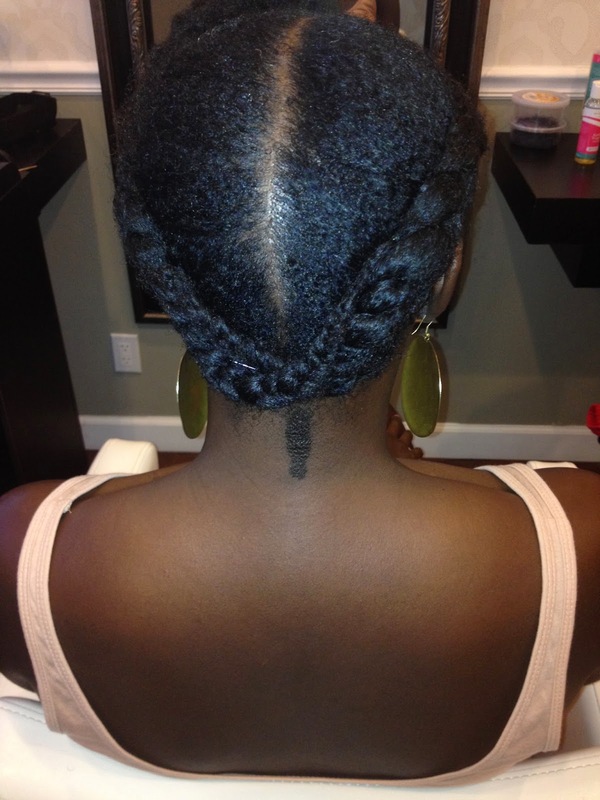 Once each braid has made it to the nape, secure the ends with bobby pins. A sharp part makes this look neat and stunning. Use hair pins that match your hair color. 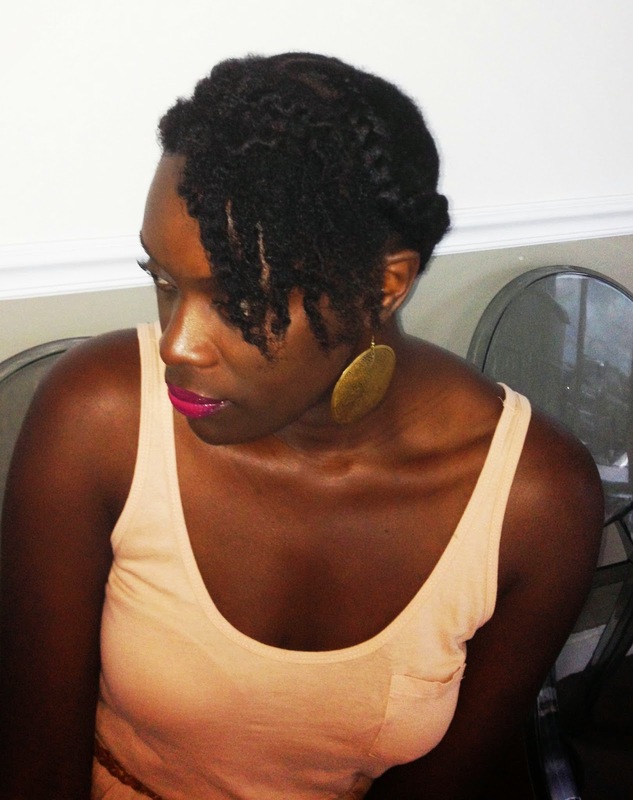 The Goddess Braid is a perfect protective style for Summer. It is very low maintenance: to fresh up the look, spray lightly with water and apply a light weight gel that will not flake or crunch like Jelle Coconut Styling Gel. The hair must be tied down at night with a satin or silk scarf to prevent frizz. Will You Try The Goddess Braid For Summer? 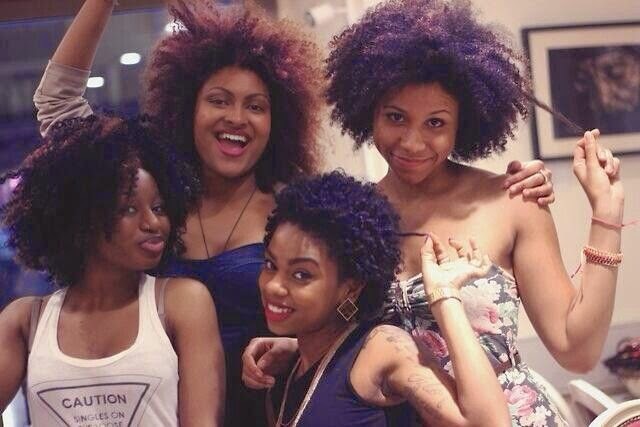 There is a new hot trend in the natural hair community that some non-naturals are adopting. It is the perfect hairstyle for Summer to protect your tresses from harsh sun rays and frequent pool and beach visits. 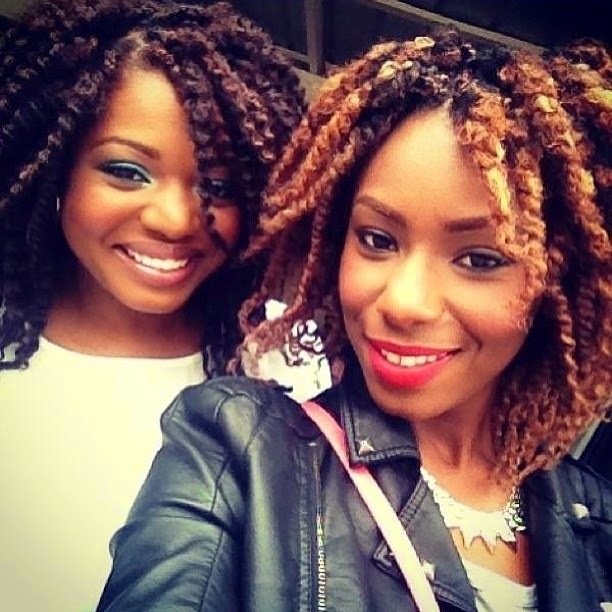 Faux dreadlocks are a great option for transitioners who are growing out their relaxed ends. It will make you feel like you are fully natural without the journey. For those who go crazy for color but are afraid to try it on their natural tresses, you can bleach your locs and dye it any color you like. Or opt for pink tips like Nicki Minaj. For a radical look, live a little on the edge like RiRi and opt for a bang with a dreadlocked ponytail. Will you try this new super cute trend for Summer? 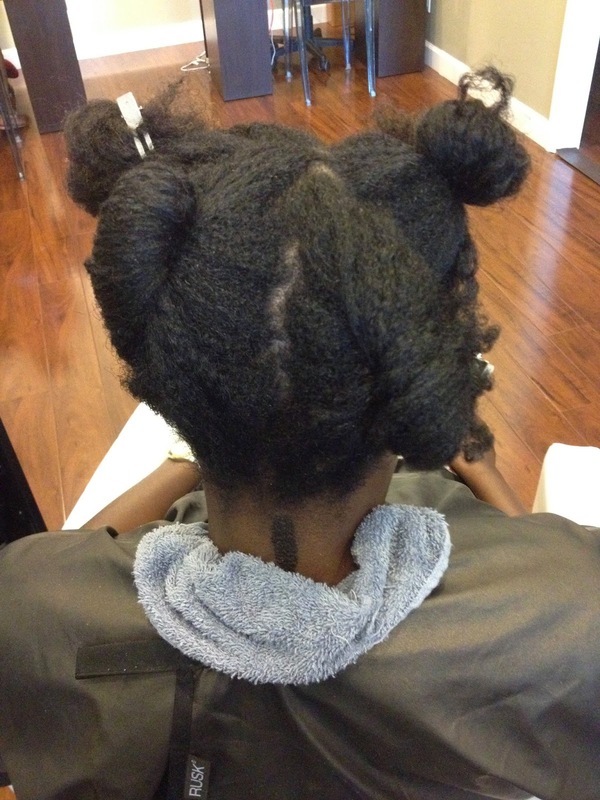 Pre Poo Conditioning treatments are used to condition the hair prior to shampooing. A pre poo conditioning treatment moisturizes and protects the hair follicles during the shampoo and manipulating processes. You should pre poo using an oil treatment if your hair is dry. Pre poo oil treatments are a great option for those who suffer from dry scalp. For dry scalp, the oil should be massaged into the scalp to soothe and repair while loosening the flake build up. 1. Section Dry Hair Into 4 Sections. 2. Squeeze a quarter size of Kurlee Tropical Oils Blend to palm. 3. Apply to scalp and massage through hair from root to tip. 4. 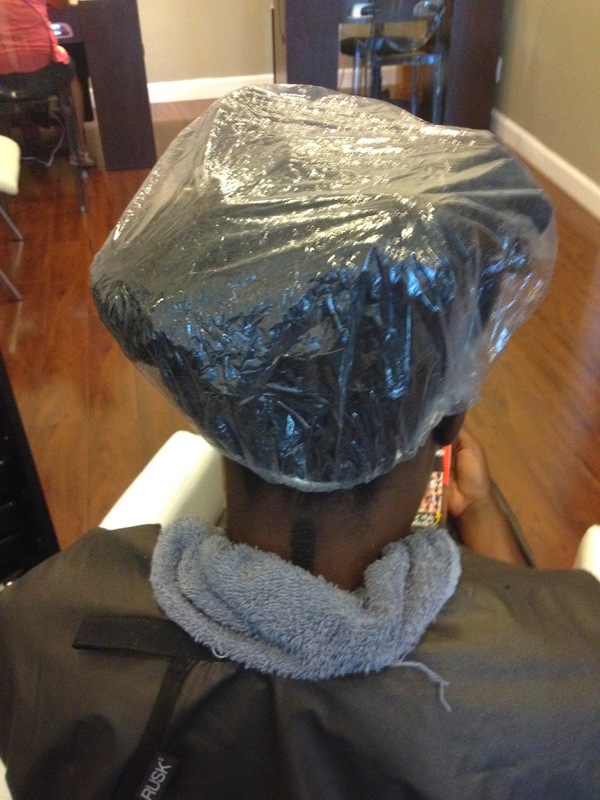 Cover with plastic cap and sit under a hooded dryer for 15 minutes. The heat from the dryer allows the hair shaft to open up and the oil treatment to enter penetrating the cuticle. 5. Then rinse with Almond & Shea Butter Moisturizing Shampoo to cleanse the hair without stripping of its natural oils while moisturizing and detangling. The Almond & Shea Butter Moisturizing Shampoo will further soften the hair to make it more manageable. After shampooing, you can apply a leave in conditioner like Thirsty Kurls Leave-in Conditioner which is made from Hibiscus, Honey & Aloe Vera to detangle and add moisture. 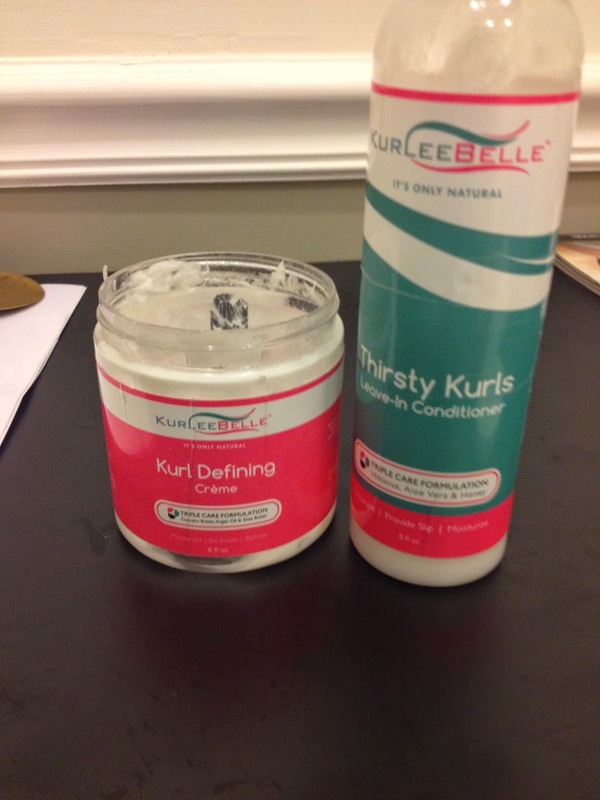 Depending on the look you are going for you can style with Kurl Defining Creme or Jelle Coconut Styling Gel. 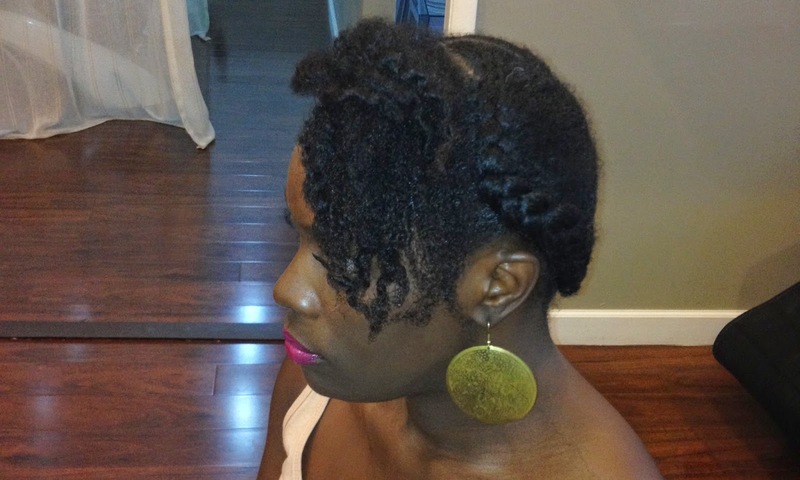 We wanted a simple twist style so we used Kurl Defining Creme to achieve these twists. Notice how the hair is frizz free and moisturized with no product build up. Tell Us How You Pre Poo. Natural Hair | Lupita Nyong'o "The Expert Braider"
Lupita gives us another reason to love her in this short film by Vogue. The multitalented Oscar Winner, Vogue Cover Girl and Lancome Ambassador demonstrates her braiding techniques while sharing a little bit about how she started braiding back in Kenya. During a summer break, Lupita learned how to braid, cornrow and twist by watching her aunt who owns a salon. Watch as Lupita practices her hobby on her friends with different textures and ethnicities. Lupita says, "For me, braiding her is an intimate thing..... Getting up close and personal and I like to do it for people I love and trust." 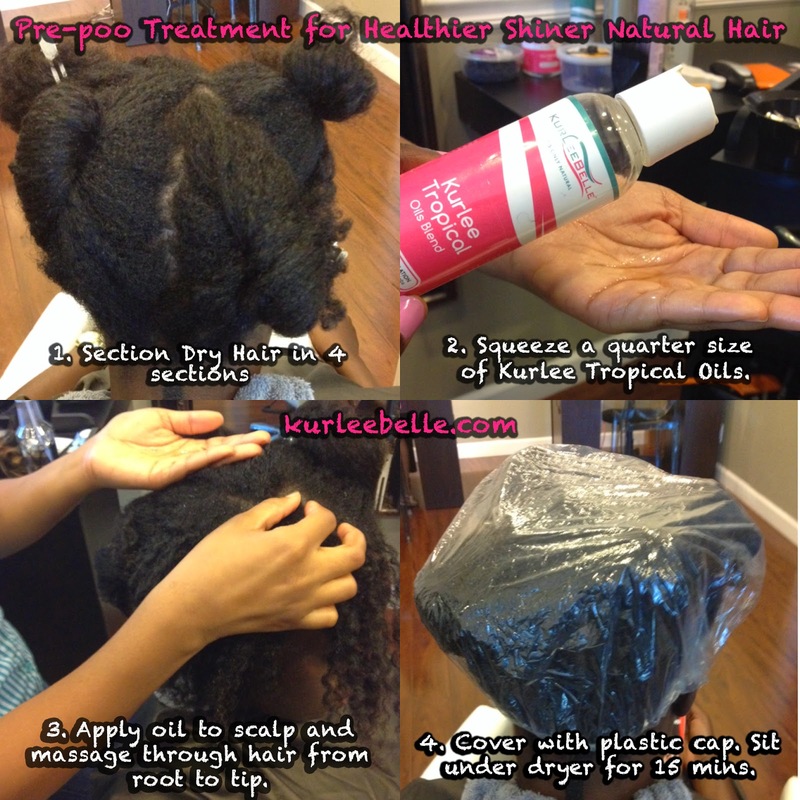 Natural Hair | Pre Poo + Hot Oil Treatment + Shine Enhancer in One Bottle! 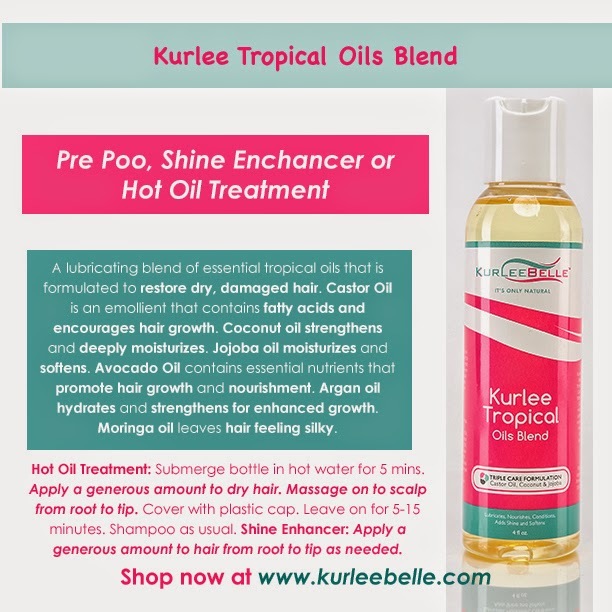 Use Kurlee Tropical Oils Blend as a Pre Poo, Hot Oil Treatment or Daily Shine Enhancer. A lubricating blend of essential tropical oils that is formulated to restore dry, damaged hair. Castor Oil is an emollient that contains fatty acids and encourages hair growth. Coconut oil strengthens and deeply moisturizes. Jojoba oil moisturizes and softens. Avocado Oil contains essential nutrients that promote hair growth and nourishment. Argan oil hydrates and strengthens for enhanced growth. Moringa oil leaves hair feeling silky. Hot Oil Treatment: Submerge bottle in hot water for 5 mins. Apply a generous amount to dry hair. Massage on to scalp from root to tip. Cover with plastic cap. Leave on for 5-15 minutes. Shampoo as usual. Shine Enhancer: Apply a generous amount to hair from root to tip as needed.